1 McAuliffe didn't refer to New Albion as a 'craft' brewery. "Microbrewery" would be the term soon applied by others. 2 The Brewers Association defines an American 'craft' brewer (and thus any of its brewery-members) as "small, independent, and traditional." 3 On the comparison between the U.K. campaign then and ours now, I've cribbed a bit from beer writer Alan McLeod, who, in 2005, cribbed in turn from beer writer Pete Brown (giving credit). 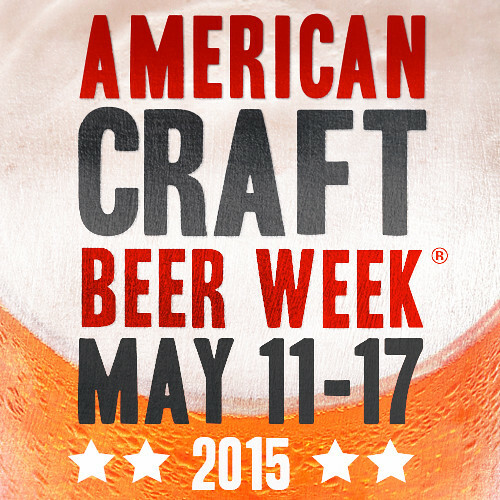 Twitter: use the hashtag #ACBW. Untappd: "the mobile-based social network that connects breweries with craft beer lovers, is once again offering an American Craft Beer Week badge for users who check in during ACBW events."